‘Sleep outdoors, comfortably,’ is the tagline for the Sestrals Quilt by As Tucas – a simple, ultralight, synthetic quilt optimised for three-season conditions. As Tucas gear is made by hand in the Pyrenees by an experienced long-distance walker who knows a lot about materials (and also about keeping his pack light). 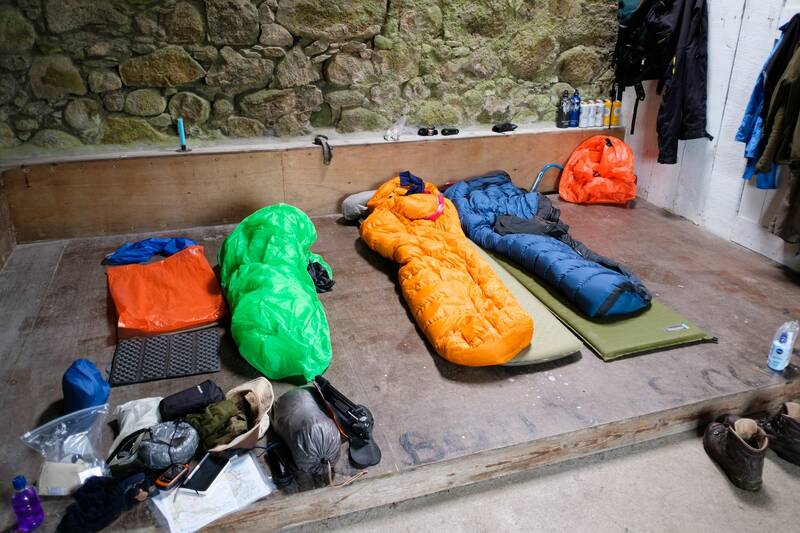 The Sestrals is not a conventional sleeping bag – it’s an open quilt with a closed footbox and a blanket-like upper section that can be laid over the user loosely or wrapped around for maximum insulation. One key benefit of quilts is that they’re lighter than sleeping bags, because they don’t have a hood, and your sleeping pad takes the place of insulation that would otherwise be crushed under your body. Another key benefit is that they’re far less constricting and more versatile – they can be used opened out in warmer conditions, closed tight when it gets cold, and there’s no zip to break or wear out. Synthetic quilts are typically a bit heavier than down quilts, but they stand up to damp trail conditions better, and can be easily washed in a washing machine without special treatment. Climashield Apex insulation in a variety of weights from 100 to 200 g/m2. This insulation is widely regarded as one of the better synthetic fills around – highly compressible and lofty. Lightweight 12D Schoeller face fabric: lightweight, soft to the touch, and resistant to both water splashes and dirt. A simple and easy-to-use design. It’s just a quilt with a closed footbox and a few snaps so you can close it tight about you. The Sestrals is longer than some competing quilts, with an extended ‘bib’ at the head end that can be drooped over the face in cold conditions. A wide variety of sizes, lengths, insulation types, colours and other options are available. Marco at As Tucas was responsive and helpful during the process of creating my order, and advised me on the materials and options that would be best for my needs. I paid €250 for my Sestrals and received it in about three weeks. First impressions were entirely positive. The quilt came in a simple cotton storage bag (it’s a good idea to store quilts and sleeping bags uncompressed). 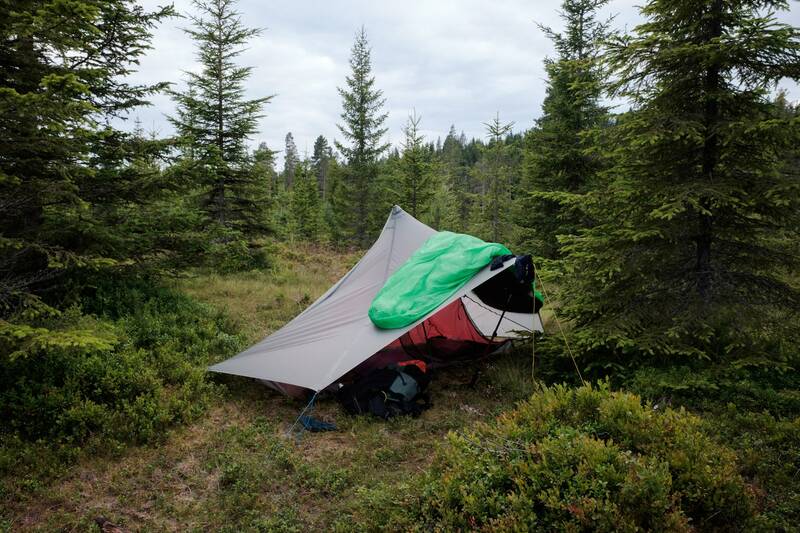 The fabric felt amazingly soft – far more comfortable against the skin than other sleeping bag materials I’ve experienced – and a quick droplet test showed impressive beading. This is no guarantee of long-term water resistance, of course, but a good thing to see. I was particularly impressed with how well the quilt lofted. It seemed almost as fluffy as a down bag – nothing like the flat, heavy synthetic bags I’ve used in the past! Stitching and overall quality are spot on. On my scale, the quilt weighs 669g, which is very good for a synthetic quilt rated to freezing. Since March 2017, I’ve used the Sestrals Quilt for virtually all of my backpacking and camping, including over 400 miles of long-distance trail through Scotland and Scandinavia, for a total of roughly 50 nights of use. I’ve used it in a range of overnight temperatures from roughly 15˚ to -2˚C, including some truly abysmal soaking-wet Scottish weather. I believe this is sufficient to get a good idea of the quilt’s capabilities. To put it simply, the Sestrals Quilt lived up to all my expectations, and just does its job without fuss or any need for maintenance. I don’t use a stuffsack, and just shove the quilt into the bottom of my rucksack liner. It compresses quite well and always lofts quickly again when I unpack it, although I am wary of compressing it too often or too much – synthetic fillings aren’t as durable as down, and can ‘wear out’ by over-compression. Nevertheless, I’ve been happy by how well the quilt has compacted down in my pack, and I haven’t noticed any degradation in the quilt’s ability to loft again after being squashed. In use, the quilt is gloriously comfortable and cosy. The 0˚C rating seems to be just right for a wide range of three-season conditions, and the Sestrals was one of my favourite items of gear on my Ardgour-Mull Trail last year, because I knew it would be a haven of warmth regardless of what the weather was doing outside. I have never managed to get it wet. 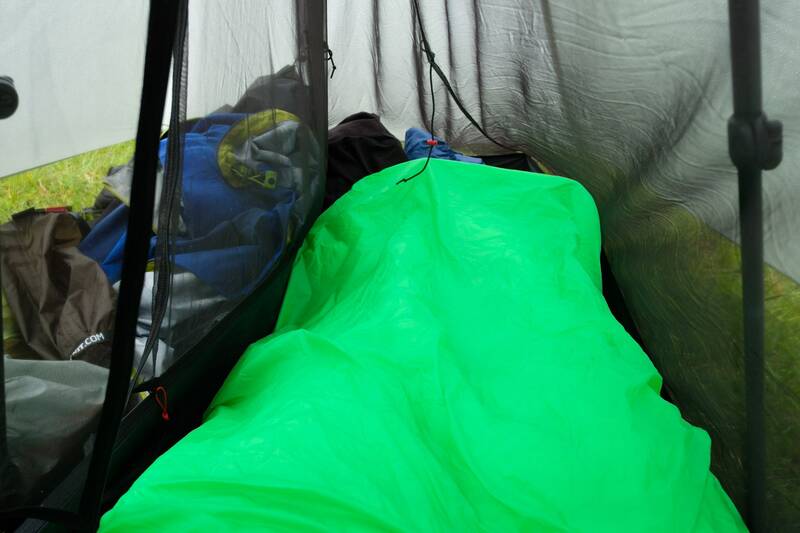 I’ve camped in cloud for days during torrential rain, and it just doesn’t seem to absorb any ambient dampness. Water droplets still bead and roll off the surface. It obviously isn’t waterproof, but it’s far more reassuringly water-resistant than any other sleeping bag or quilt I’ve used. The interior fabric feels good against bare skin, too, even when you haven’t washed for days! I believe the temperature rating of 0˚C is roughly accurate for the way I use the quilt, with a torso-length foam pad and some additional clothing (long johns and light base layer). With the addition of a down pullover I’ve pushed it a couple of degrees lower and have felt warm. I’d be quite happy using this quilt down to -5˚C or so with some leg insulation, woolly socks, and maybe a balaclava. For me, the sizing is just right. I’m glad I asked for the adjustable straps so I can layer it over another quilt in colder conditions (although I haven’t actually needed to do this yet). The ‘bib’ section at the head end is really useful – in colder weather I often droop it over my face, which takes the place of a hood. Even though I’m breathing into the quilt, I’ve never experienced any dampness or condensation. That’s about all there is to say about the Sestrals Quilt. It’s a simple, reliable, durable piece of gear that just gets on with it and doesn’t get in your way. It’s one of the standout new items I tested last year, and something I will continue to use for many years to come. The Sestrals Quilt has earned a place in my pack for virtually every Scottish and Scandinavian outing, because I know I can depend upon it in foul weather.